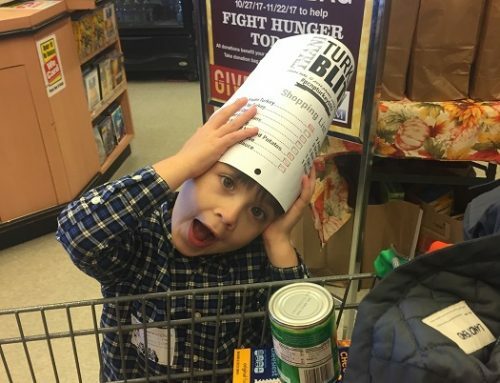 Sometimes, the dark bothers my four-year-old. We’ve always had an array of nightlights for her, softly illuminating her nights. But the other day while browsing through a gift shop, I came across a book I thought she might both enjoy and benefit from. 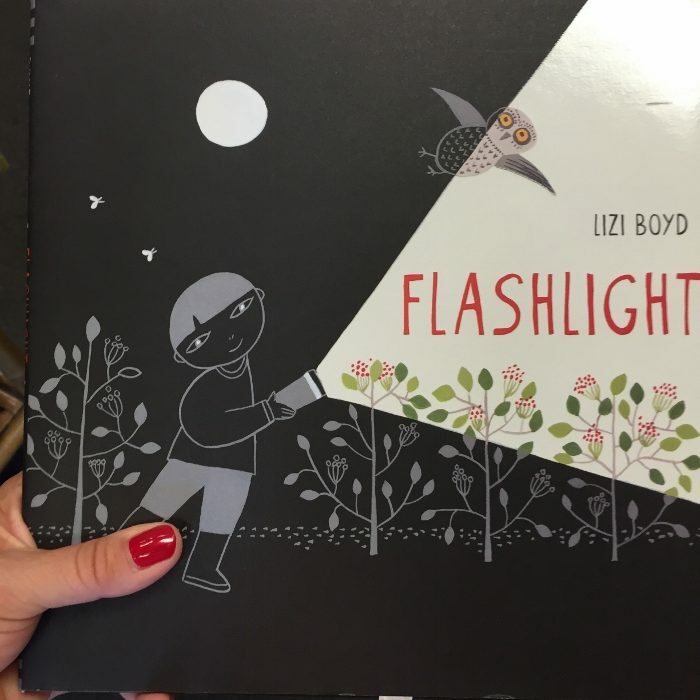 Flashlight, by Lizi Boyd is a wordless picture book in which a little boy explores the night outside with his flashlight. The beam of light cast by the flashlight is white against an otherwise black and grey palate of colors. The white beam illuminates the nocturnal world of animals and shows all the interesting activity that happens at night. At the end of the story when the boy drops the flashlight, the animals recover it and shine the light on him in a humorous twist. Since it is only pictures and doesn’t need to be read to her, I thought Flashlight would be a perfect book to assuage those evening fears of the dark and one that she could peruse herself. Flashlight joins some other for-the-dark literary tools in hEE bedside table. 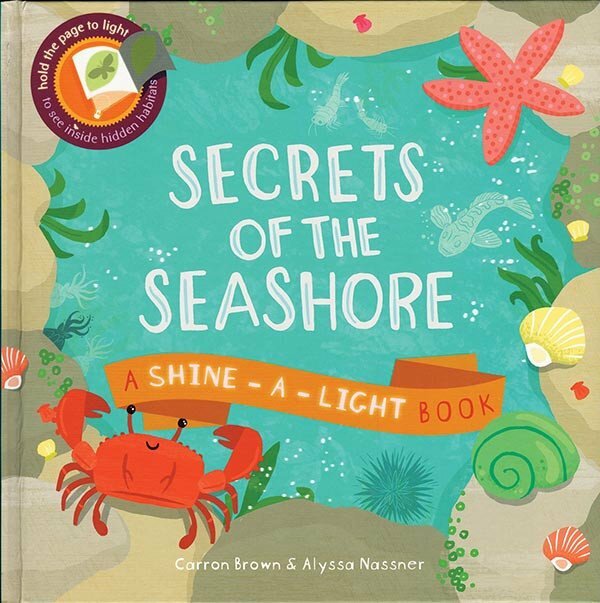 Another nighttime book that celebrates the dark and utilizes a flashlight is Secrets of the Seashore. 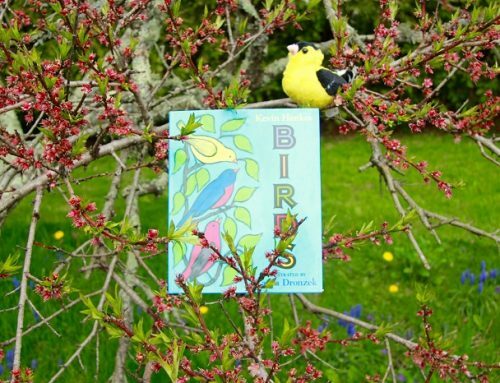 This special “Shine-A-Light” book reveals animals and plants hidden in the art when the reader shines a light behind each page (or holds the page up to light). There are many topics in this series, but as avid beach goers, the girls and I particularly love seeing the illustrated sea creatures in this book. 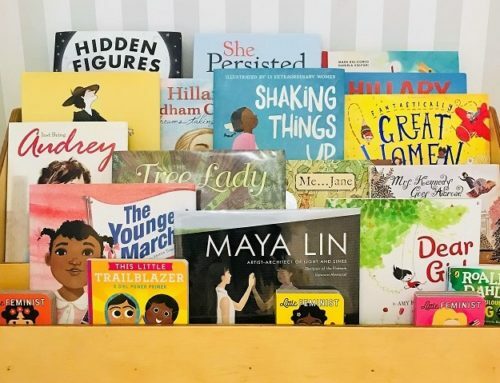 We keep a mini flashlight (for function and reading opportunities) handy in the bedside table drawer. Though this isn’t a book, I purchased a set of shadow puppets we keep with the flashlight. 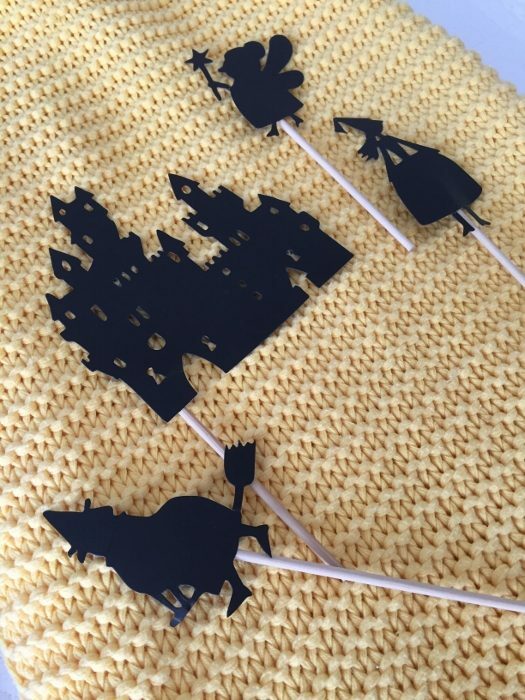 Made of heavy black paper attached a wooden stick, the set includes a fairy, a castle, a dragon, and other fairy-tale themed characters and objects. There are also options for circus- or Paris-at-night-themed puppets. 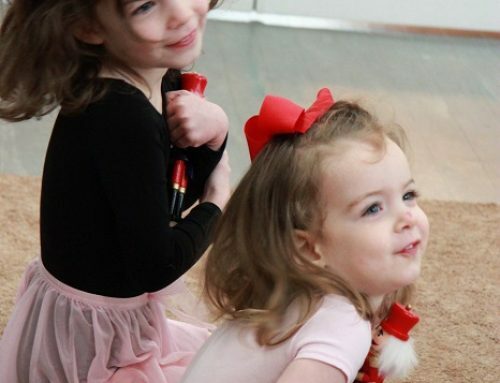 Of course, you could make your own or just use your hands to make shadow puppets! The puppets allow us to be inventive and tell our own bedtime stories using familiar characters. It’s another fun way for us to enjoy the dark. 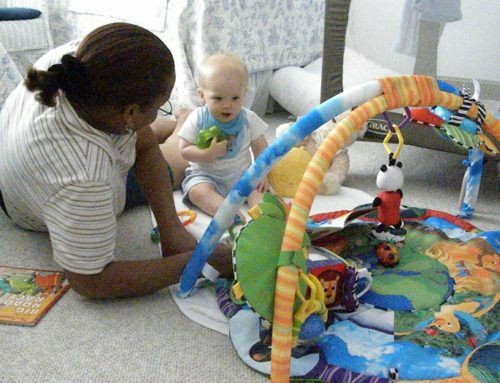 How do you use books and toys to ease your child’s worries?